Is Tap or Rain Water Better for Plants? Choose your water source wisely when watering plants. 3 Why Should You Use Filtered Water in a Humidifier? Plants can be picky about the nutrients they consume to grow. Plants rely heavily on water, as you know if you've ever neglected to water a plant. Not all water sources have equal benefit for plants. Different plants may also have different specific water requirements to grow well. Rain water has some advantages over tap water for some plants. Tap water contains ingredients added as softeners, such as sodium, or for human health, such as chlorine or fluoride. While most plants tolerate tap water, fluoride may injure plants with long, slender leaves, such as the spider plant. Leave fluoridated water out overnight at room temperature to let fluoride evaporate before watering plants, horticulturist Erv Evans of North Carolina State University suggests. Do not use softened water for watering plants, he also suggests. Excessive salt in the soil prevents the roots from absorbing water. A moderate sodium content of less than 200 milligrams per liter will probably not cause harm, the Water Quality Association reports. Reverse-osmosis filtered tap water, deionized water or distilled water will not contain the chemicals that could interfere with your plant's growth, making them a better choice than tap water for your plants. You can buy distilled water or make your own by leaving tap or rain water in a clean container for two days before using it, which allows the chemicals time to dissipate. 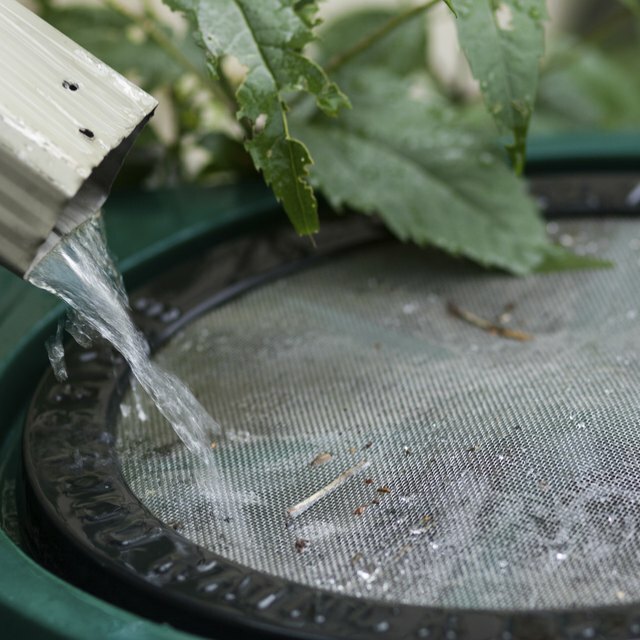 Rain water doesn't contain added chemicals such as sodium that can damage your plants. However, rain water can be more acidic in some regions than others. Contact your local extension service or university horticultural department if you are concerned. Very high acid content can damage plants. As long as your rainwater isn't overly acidic, collecting rainwater in a clean bucket or barrel gives you a good and cheap supply of water for your plants. No matter what type of water you use to water plants, use it at room temperature. Water straight out of the tap may be hot in summer and cold in winter; either extreme can shock the plant roots. For potted plants, use containers that allow excess water to drain, since standing water can damage the roots. Don't over-water. Over-watering actually kills more houseplants than under-watering, according to the Guide to Houseplants. The soil should not be soggy, just slightly moist. Water Quality Association: Should Softened Water Be Used for Watering Houseplants or Sprinkling the Lawn or Garden? What Is the Difference Between Tonic and Seltzer?